As we all know, farm life is not everybody’s cup of tea, so this message is dedicated to those who have the intention of retiring to a farm somewhere, but are not convinced that it’s the right thing to do. Well, Oxfarm Ag is here to help you make it happen! Lets talk about women first. Women either love or hate farming. The few in the middle are forced into the life of frugal and healthy living because of circumstances -which is unfortunate, but we can always hope that they will come to love farm life. With men it’s a bit more complicated. First there’s the ego issue. Then there’s the dilemma – should it be the town house or the farm house? This message is meant for wage earners who hopefully have saved enough of their after-tax take home pay or their pension money, whatever the case may be, for retirement. Retirement doesn’t have to be when you are 55 or 60 or whatever the ‘official’ retirement age is in your company. Retirement is when you are ready to lift up and take your nose away from the grindstone, look up at life and begin living it. And I say go ahead, get yourself a farm or an orchard and spend your retirement there. Retirement In a Farm? Things to Consider ! You get more exercise, fresher air and the same sunshine you get on a golf course minus the stress and frustration. If you have been working in the city, thirty years of inhaling polluted air is enough, isn’t it? Instead of walking your grandchildren in shopping malls, walk them around your orchard where they can feed the animals and climb the fruit trees. It’s good for them, good for you too. If you already have a land somewhere, start planning early, plant trees, build a house, so that by the time you retire, you will have an already functioning farm. Rearing animals, agri-tourism, fiber, yarn, new or cooked food, cultivate related services—the rundown of potential money streams for your farm is just constrained by your interest, time and imagination. Your farm produce marketing plan begins with a basic list of the major products and services at present offer or need to offer later on. An effective plan can help extend your client base and prompt extra income. If asked the question, “Who are you marketing your farm product to?” your first instinct might be to say “Anyone who will buy.” But if you put some thought into it you’ll realize the answer is much more complex. Do women or men buy more frequently from you? Are your customers young, middle-aged or retired? Do they belong to a certain ethnic group? Do your buyers tend to be of a certain income level? Do they live in a particular area or are they geographically dispersed? If your farm already has customers, think of your best ones. Who are they and how would you describe them? If you’re just starting out and don’t have customers yet, observe your potential competitors and their customer base. By knowing who your customers or prospects are, you can increase the likelihood they will buy from you by tailoring your marketing message to their needs and desires. Keep in mind that your target demographic might be different for the different products and services you offer. If you have a sheep/goat farm, for instance, your breeding stock buyers may be local farmers, while buyers might be located in a large city a few hours away, and the middle-aged female hand spinners who buy your fleeces might be spread all across the country. It’s important for any business to establish its unique selling proposition, or USP. A USP is the answer to the question, “Why should someone do business with me instead of my competition?” What unique benefits does your farm offer? Freshness, quality, personal service, rarity … these can all be part of your USP. A good USP is a clear, simple and concise statement of the benefits you offer. Along with your product line and target demographic, your USP becomes your North Star, always guiding you even when things seem foggy and the future uncertain. Spend some time creating your USP and write it down in a prominent spot, be it in the gardening shed, barn or office. Your USP should be kept front and center as a constant reminder of your farm’s purpose and direction. Now that you’ve established what you’re selling, whom you’re selling it to and what makes it different, you’re ready to get down to the nitty-gritty aspects of implementing a marketing plan. Most marketing plans incorporate a variety of components. Among those you will need to consider include a logo, tagline, website, association membership, advertising, events, customer service, timing and budget. Your farm’s logo can be something as simple as your farm name in a distinctive font, or it can be more intricate and include illustrated elements that pertain to your product or farm name. A logo should project a business image based on your goals and objectives, and elicit a general feeling for your brand. For example, if you have a wildflower farm that caters to a female clientele, you may want your logo to evoke romance, using soft, natural colors (grass green, sunflower yellow, sky blue or pastels) and a more feminine font to achieve this. While you can create a farm logo on your computer that is suitable for desktop printing, if you plan on expanding your marketing efforts into packaging, professionally printed materials and signage, you might want to enlist the help of a professional graphic designer. Sign makers, embroiderers and commercial printers all have specific requirements for file format and quality that is difficult to achieve with most home or small-business software. A graphic designer can help you achieve a more polished look and will be able to provide you with the specific file formats you’ll need later on. If you decide to have your logo professionally designed, finding the right designer is important. Do they know your business or businesses similar to yours? Do they have a style you find appealing? If you want illustrated elements in your logo, can they design these for you or are they limited to using readily available clip art? The designer should provide you with a few versions of your logo including a high-resolution file for print use (300 dpi), a low-resolution file for web use (72 dpi) and some type of vector file format for embroidery use. Ideally, your tagline should be tailored so closely to your brand that competitors can’t substitute their names in it. Start your tagline brainstorming process by noticing those you see every day on TV, in magazine ads and on the radio. Think about what you want your farm brand to communicate with its tagline. Start putting ideas on paper. Don’t worry about how silly some of the ideas might seem at first, just get them on paper and the right choice will emerge. There’s no denying it—today’s farmer needs to be technologically savvy, and for most of us, an effective farm marketing plan includes having a website. A website is cost effective and reaches a wide number of customers. Whether you use your site as a static farm brochure to get your name out or actually sell products online, a website can help take your marketing to the next level without a huge investment. Armed with the photos, text and guidance you provide, a web designer will work to incorporate these elements, along with your logo and tagline, to create a unified site that is consistent with the rest of your farm marketing efforts. Costs will vary depending on the complexity of your needs, whether you are selling products online, the completeness of the information you provide and subsequent revisions. Be it festivals, farmers’ markets, seminars, demonstrations or farm open houses, events provide you with an excellent opportunity to market your products in a hands-on environment. Just as some buyers aren’t comfortable buying from catalogs, some of your customers are likely to want one-on-one contact with you and your products or animals before making a purchase decision. Having a wide variety of products and presenting them well is important, too. Other events, like open farm days or demonstrations at the local fair can also drum up business for you. Contact your local paper and see if they’d be interested in covering what you’re doing to further increase your exposure. Display advertising in a glossy magazine might not be within your budget, but perhaps a small classified ad is. Show programs and newsletters can also provide cost-effective advertising opportunities. Keep in mind that you only have a limited amount of time to catch readers’ attention, so your headline should pique their interest and make them want to read on. Always be sure to include your farm name, your phone number and your website address in any advertising you do. If you have room, also include your logo and tagline. Many times the best marketing practice is also the cheapest to implement. This is never truer than in the marketing benefit of good customer service. Good customer service doesn’t cost any more to deliver than bad customer service, but bad customer service can literally cost you your business. Whether it is standing behind a sale, answering voicemail and email promptly, or handwriting a thank-you note to put in with an order, small efforts can make a big difference! In your startup years, your farm marketing budget might be 5 to 10 percent of your gross sales figure, but as time goes on and word-of-mouth begins to work for you, your marketing budget might drop to 2 to 3 percent of gross sales. Creating a marketing budget and calendar for your marketing year is a good way to set goals and keep yourself on track. If your farm business has a natural downtime (as many farms do), this is a great time to plan your marketing. You’ll have fewer distractions, less stress and will be able to come up with more creative ideas than when you’re in the height of your busy season. Marketing isn’t hard to do, it’s just easy to put off doing when it seems like a million tasks are more pressing. The success of your farm marketing plan can be gauged in many different ways. Ask yourself these questions after you’ve given your newly implemented marketing plan time to work. Did I retain more customers? Did I get new customers? Were my existing customers more satisfied? Was my job easier and more fun? Did I make a larger profit? Did my farm products sell more quickly? Are there some potential customers that might turn into sales in the coming year as a result of this year’s marketing? After some time, as your farm business develops, you will without a doubt grow your marketing methods, be it sprucing up your product packaging, having handouts professionally printed, conveying official statements, or getting signage made for your farm store or show booth. There will always be a continuing stream of marketing possibilities to consider. Keep an open mind. In the event that there’s something you can’t legitimize fiscally today however think would be an awesome advertising thought, in a year your expanding deals may make it possible. Kenya is frequently cited as a “bright spot” in African agriculture. Conducive government policy, strong donor support and private-sector leadership have helped to create success stories in exports to the EU. Policy changes supporting this growth include the liberalization of the fertilizer market. Following the removal of price controls and subsidies, increased competition led to lower fertilizer end-prices, triggering a 14 percentage-point increase in adoption rates among smallholders. Today, agriculture amounts to half of Kenyan GDP and employs 75% of the Kenyan workforce. Kenyan policy-makers and agribusiness players continue to prioritize the growth of agricultural exports, both in green beans and other cash crops like avocados. Kenya is one of the world’s largest producers of avocados, with production of 200,000 tons in 2017.For comparison, the largest producer is Mexico with about 1 million tons produced annually. Local varieties dominate Kenyan production (about 70% of total), whereas Fuerte and Hass, the varieties suitable for export, make up approximately 20% and 10%, respectively. Most often vertically integrated with exporters, packers procure and package a 4-kilogram (kg) carton of avocados at a cost of about US$ 4.10. An additional US$ 1.60/carton is required for shipping to Europe by sea in a reefer. With the import price fluctuating around US$ 7-8/carton, the supply chain overall is profitable. This situation was enabled by government-led infrastructure investments, followed by private-sector investment in reefers, which helped to reduce transport costs versus expensive air shipments. Once this tipping point of profitability was reached, investments started to naturally flow into the sector. Successful initiatives to overcome supply chain barriers are presented, as well as some remaining opportunities to overcome challenges to future growth. Mombasa is the pivotal port for East African countries and is accessed via the main corridor, the Nairobi-Mombasa highway. By the early 1990s, the quality of this road had deteriorated due to high traffic. The Kenyan government, with the help of the World Bank and the EU, decided to invest in rehabilitating the highway. Investments were made over approximately a decade, ending in 2005. Travel time from Nairobi to Mombasa was reduced by 40%, from 12 to 7-8 hours, and costs decreased as well. Typically, road rehabilitation projects in East Africa drive operational cost reductions of 15%. Although this saving has a marginal impact on the Kenyan avocado industry – less than 1% of the European end price – the incremental benefit is applied to many different value chains. The overall benefit for Kenya and Kenyan agricultural export value chains is thereby important. Introduction of reefer container technology has made Europe accessible for Kenyan avocados. One of the major challenges previously faced by this industry was the lack of suitable transport equipment. If not cooled, avocados ripen faster than the time it takes to ship them to Europe. Exports to Europe, therefore, were only possible through expensive air shipments. Alternatively, transporting by sea was only feasible for the more proximate Middle East, where avocados sell for much less than in Europe. Recognizing this opportunity, exporters first engaged temperature-controlled, break-bulk vessels to replace expensive air freight. They then approached A.P. Moller-Maersk to present the business case for refrigerated container transport. Shipping companies consider a number of factors when evaluating a value chain for reefer investment. Most importantly, they look at the economics and growth potential of the value chain. In this case, if Kenyan avocados were able to be sold profitably when transported by air, there was a clear case for investment in sea freight, provided quality could be maintained during the journey. In addition, key enablers must be in place to ensure sustainable operations. Fortunately, the Kenyan government had invested in the Mombasa port and was able to provide the necessary infrastructure (e.g. specific plugs, berth capacity) to support reefers. Continuous investments are being made to accompany the growth of reefers in the Mombasa port, including a new berth to open this year. Early packing of containers ensures an uninterrupted cold chain. When dealing with perishable produce, maintaining an uninterrupted cold chain is critical for food quality and safety. When reefers were first introduced, exporters preferred to transport avocados to Mombasa in regular trucks and pack the reefers at the port. Over time, exporters realized that they could command a price premium in EU markets if a cold chain was begun as close to the farm as possible. This price premium outweighed the costs of bringing an empty reefer to Nairobi and loading it at the pack house gate. This extended cold-chain-arrangement also simplified logistics by eliminating one touch-point at the port, and is now common practice. 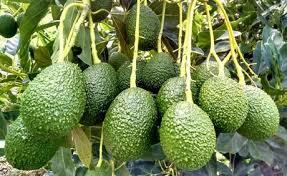 For more information on how to become a better Hass Avocado Farmer, kindly visit our offices or contact us.